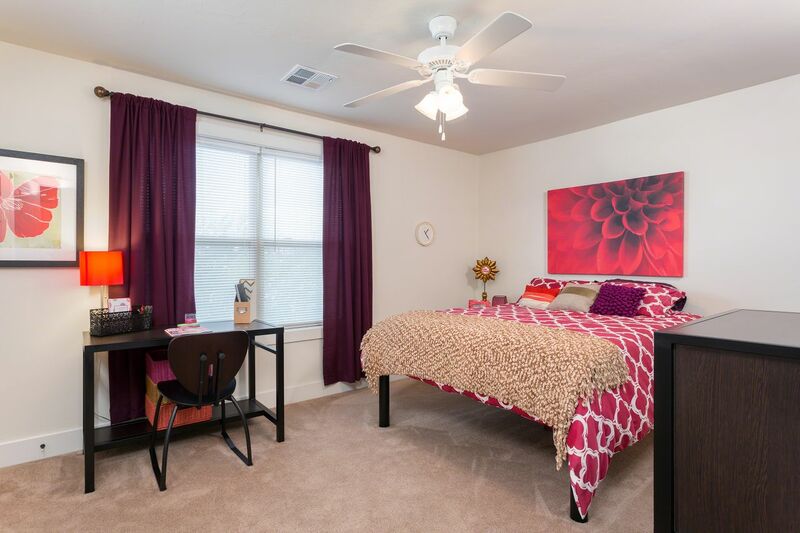 At The Retreat, you’ll have The University of Arizona and stunning green spaces within a few minutes’ drive. On your way to class, grab a latte from Caffe Luce near the campus or stop by Epic Cafe for a breakfast burrito. And once you’re home, take your pick from the range of Mexican restaurants just outside your door. To fully appreciate Tucson’s unique landscapes, drive to the top of nearby Sentinel Peak for stunning views, stroll east to the zoo and lakes of Reid Park, or escape the city for hiking, biking and climbing. Living in a craftsman-style cottage at The Retreat, you’ll be 15 minutes by bike from campus and seven by car, which you can park right outside your door. After class, head to the Safeway supermarket nearby to pick up your groceries, before heading back to your shared home. Meet your flatmates in the kitchen and prepare your evening meal on its granite countertops, or head onto your patio and host a barbecue with friends. 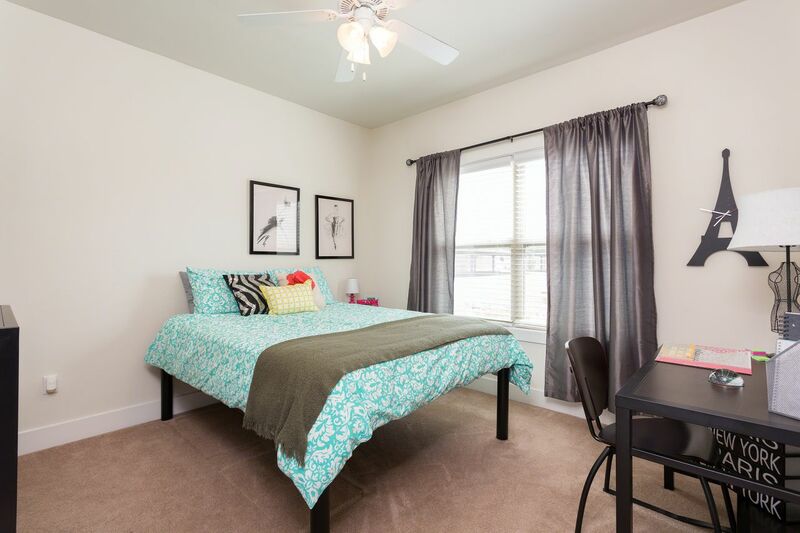 Relax in the bright and airy shared living area, which has hardwood-style floors and nine-foot ceilings, or head to your large bedroom to freshen up. You’ll have your own bathroom, so you won’t be in a rush with your flatmates in the morning. Throw your clothes into the washer/dryer and sit down in front of your laptop, using the high-speed Wi-Fi to work on your assignments or call your family. You’ll find balancing work and play easy at The Retreat, which has a great range of facilities. After class, you could tee off on the golf simulator, play pool in the games room or watch your favorite shows on a communal plasma screen. Then, meet your neighbors on the volleyball court or over a game of bocce ball, or have a work out in the gym. Relax after with a massage in the spa or a few laps of the outdoor pool. You’ll have peace of mind knowing your new home has controlled community access, privacy fences and individual security systems. Furniture packages are available to make moving day easy. Hol dir einen Gutschein!Wenn du jetzt buchst, erhältst du einen Gutschein im Wert von 1.000 $, wenn du dich für eine WG mit 4 oder 5 Zimmern entscheidest. Bei der Buchung jeder anderen Unterkunft erhältst du einen 800 $ Gutschein! Wir haben leider keine Unterkunft gefunden, die deinen Wünschen entspricht.Alle Privatzimmer in The Retreat at Tucson ansehen.